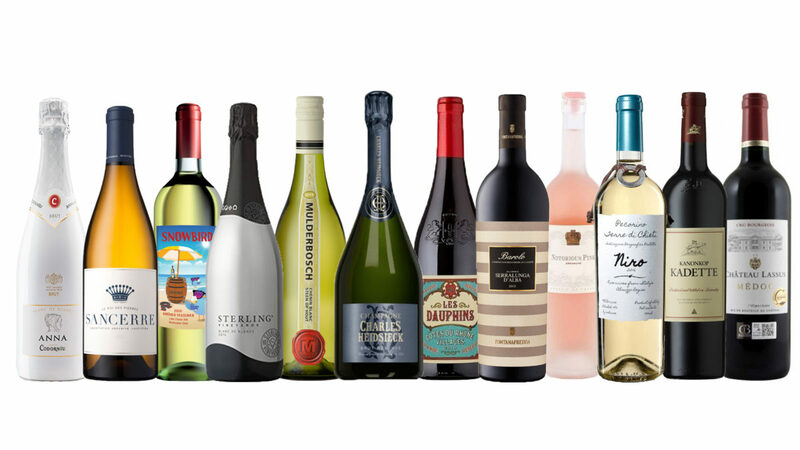 Each year for nearly a decade, our editorial team has selected some of the best wine and spirits to recommend to our readers. This year, we’ve tasted, sipped, and swirled our way to uncover more gems, just in time for gift giving season. With wide range of products, flavor profiles, and prices, you’re sure to find one that just perfect for the special person or party host on your list. Editor’s Note: Throughout this list, you will note growing region and location have been added, whenever possible. The reason for this is to help educate you, the reader, in choosing better wines. In the wine world, it is a known fact that a southern-facing vineyard location, as well as the hillside growing areas selected by certain winemakers, can many times create above average wines. In northern Italy, for example, grapes need as much sun as possible, in order to ripen to the point of proper harvesting. Because of this, nearly all vineyards in the Veneto region are planted south, in order to absorb the most sunlight and heat from both sky and land. When this direction is combined with steep slopes and hillsides, vines are flushed with nutrients and descending soil with each rain, creating the perfect growing location for not all, but many, varieties of wine grapes. Keep a look out for wine labels that note hillside growing regions, and you may just stumble upon a gem. A Cava from yet another talented producer, Codorniu uses grapes from two distinct growing areas, Lleida and Penedes, as well as four different varietals- Chardonnay 70%, , Parellada 15%, Xarel-lo, and Macabeo-creating a more complex, well balanced wine with persistent, tiny bubbles. Spending fifteen months on the lees in the bottle, you’ll note subtle aromas of pineapple and tropical fruits, as well as persimmon custard, grapefruit, and lime zest. 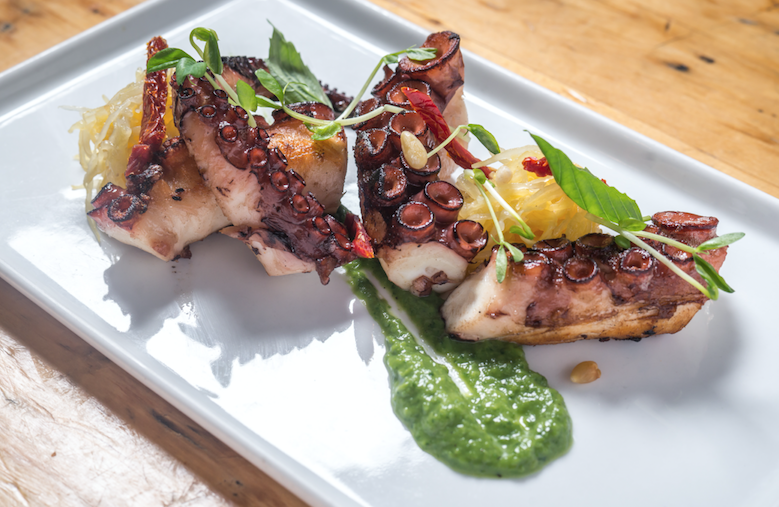 A bright, round mouthfeel and balanced acidity make it the perfect partner for seafood and vegetarian dishes. 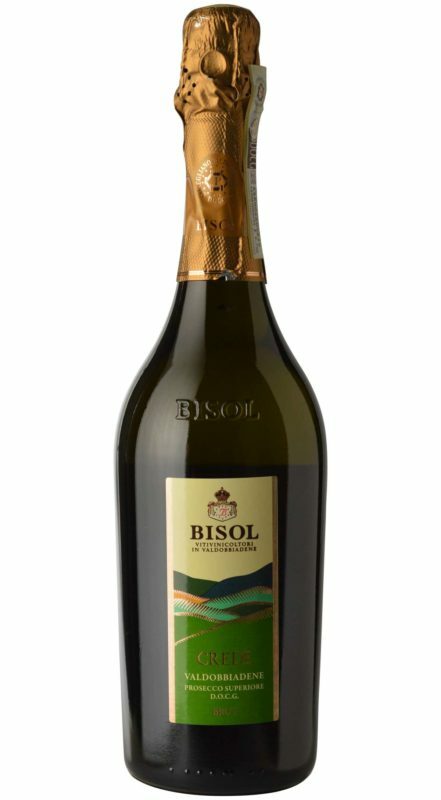 Hailing from the steep south-facing hills of Valdobbiadene, Italy in the Veneto region, Bisol Prosecco is produced from Glera , Pinot Bianco, and Verdiso grapes, creating a refined and grassy wine, with hints of salinity and almond flower on the palate. Savory and fresh, the palate is primarily apple, green pear, and citrus, with fairly persistent bubbles and a balanced acidity. Try it with Indian and Vietnamese dishes. Blended from Pinot Noir, Chardonnay, and Pinot Meunier grapes, this wine is meant for celebrations, and it will have sugar plums dancing in your head. Cellared in 2009, and disgorged in 2016, you’ll note fine bubbles, stone fruits like cherries and white nectarine, and a finish of creamy brioche and honey, as well as candied citrus peel. Soft and luxurious on the palate, the maturation in chalk cellars has added to its substance and structure, making it a stellar example of what a Champagne should be. 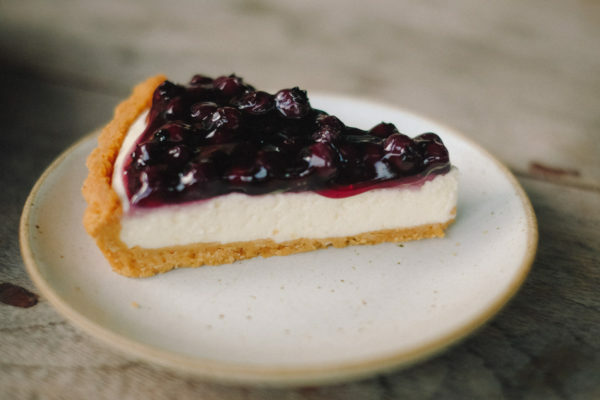 Try it with wedding cake, or puff pastry with fresh berries and crème anglaise. Drink now through 2024, 94 points. From the Loire Valley in France, this 100% Chenin Blanc sparkling wine is crafted in the méthode traditionnelle, with a secondary fermentation process in the bottle. Vines are trellis grown in clay and flint soils, with grapes being partially handpicked, then cold fermented and aged on the lees in oak for a minimum of 12 months. 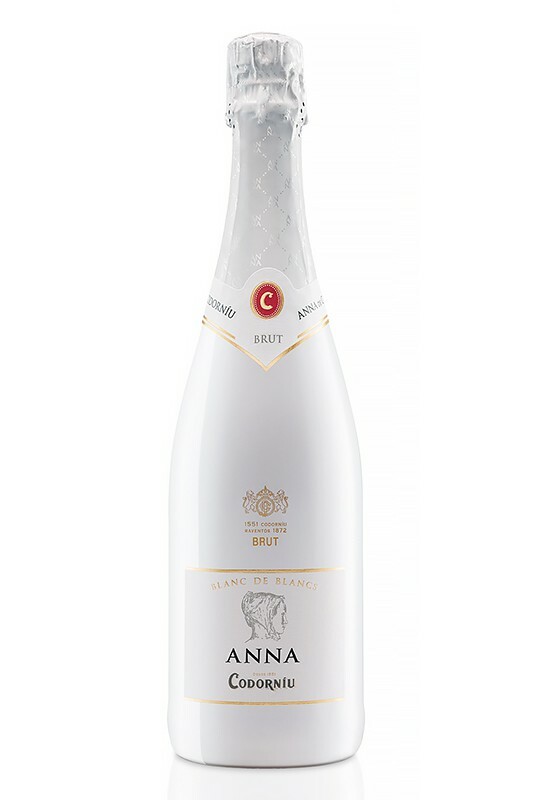 Flavors of citrus flower and sparkling apple are present, with persistent bubbles and an almond flower-like, dry finish. This wine is also produced without any additional sugar, and is vegan friendly. Drink now through 2020, 90 points. One of the earliest producers of Riesling in Germany, this 100% organic wine is farmed sustainably, to maintain the purity of their products. Crisp notes of bright apple and white citrus flower are present on the nose, with flavor of baked apple and honey, as well as soft, elegant bubbles on the palate. An enjoyable wine as an aperitif, or alongside a meal of grilled pork chops or Asian cuisine, this wine is sure to please a wide variety of guests. 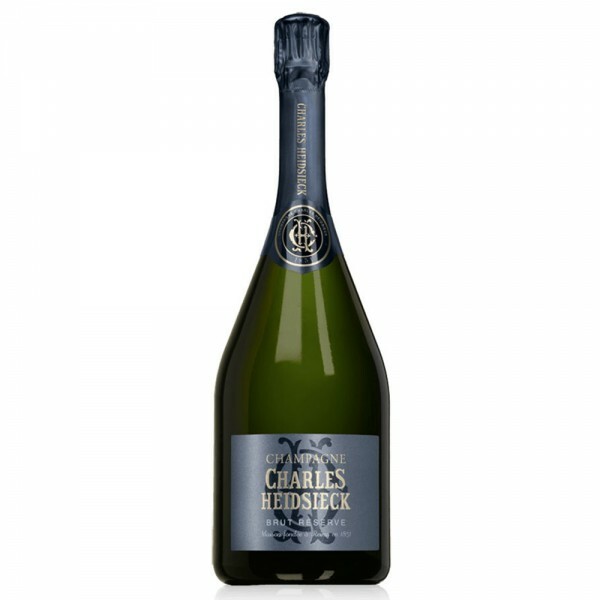 ‘Extra Trocken, means dry, so don’t expect an overly sweet drinking experience with this German take on sparkling wine. A first of its kind for Sterling Vineyards into the world of sparkling wines is their 2016 vintage Blanc de Blanc, comprised of 100% Chardonnay grapes. Winemaker Harry Hansen uses stainless steel only fermentation to preserve the freshness of the grapes, with two pressings blended for quality and depth of flavor. The sparkling wine is made using the Charmat Method, or tank fermentation, vs. the méthode traditionnelle, which requires secondary fermentation within the bottle. Pale straw in color, this is distinctly a Napa lover’s sparkler, with flavors of white peach, green apple, lemon custard, and a bit of honey on the finish. From the Bordeaux region of France, this 50:50 Merlot and Cabernet Sauvignon blend is elegant and refined without being stuffy. With a nose of blackberry jam, vanilla bean, and light oak, the wine opens to a smooth body, light tannins, and soft black fruits. A full, but balanced palate of blackberries, plum jam, and more vanilla and oak, pair this red wine with grilled game, rich salmon dishes, or 70% dark chocolate for dessert. A straightforward wine, with no unpleasant surprises, whatsoever, and well worth the under $20 price. Just across the border from France on a hillside in Germany is Baden, the only German regions classified as a climactic zone B, similar to Alsace and the Loire Valley. This makes for rather perfect wine growing, and the Heger winery does not disappoint. Very little of their Pinot Noir, also known in Germany as Spätburgunder, makes it to the states, and like many of the regions mentioned above, Heger also grows their best vines hillside, to benefit from nutrient deposits from rain, and limited frost. This 2012 vintage is dry on the palate, with aromas of violets, cassis, and blackberry on the nose. A bit of cedar and fine tannins are present on the palate, as are currants, and flavors of dark berries, with just a hint of minerality on the finish. From the small town of Béziers in the Languedoc-Roussillon region of France, this unassumingly elegant rosé may not be on your list, but it should be. Pale salmon in color, this 100% Grenache rosé is bright and round on the nose, with notes of wild strawberries, white melon, and crisp citrus flower. Terroir and soil composition, as well as production method, are not known at this time. 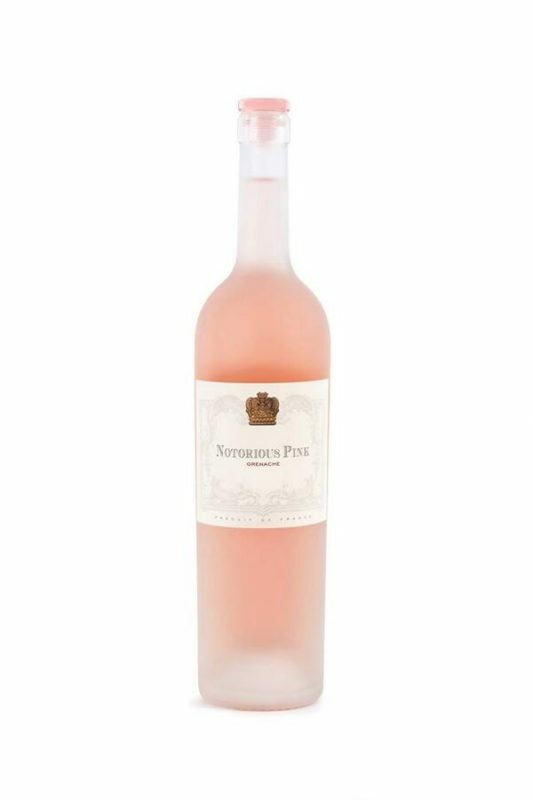 More open and slightly bolder on the palate than other traditional Provence-style rosés, Notorious is an excellent wine not only for the price point, but also for the category. Pair it with light seafood or poultry dishes year round, and don’t be afraid to turn it into a frosé with a splash of elderflower liqueur. In the historic Piedmont district of Italy lies a century old winery, located on a hill. Heir to the King and Countess of Sardinia (officially titled the Countess of Mirafiore and Fontanafredda), Emanuele Alberto established the estate, and with it, the spread of the Barolo grape varietals-Nebbiolo, Barbera, Dolcetto, and Moscato- as high quality, and leaders within the Italian wine category. 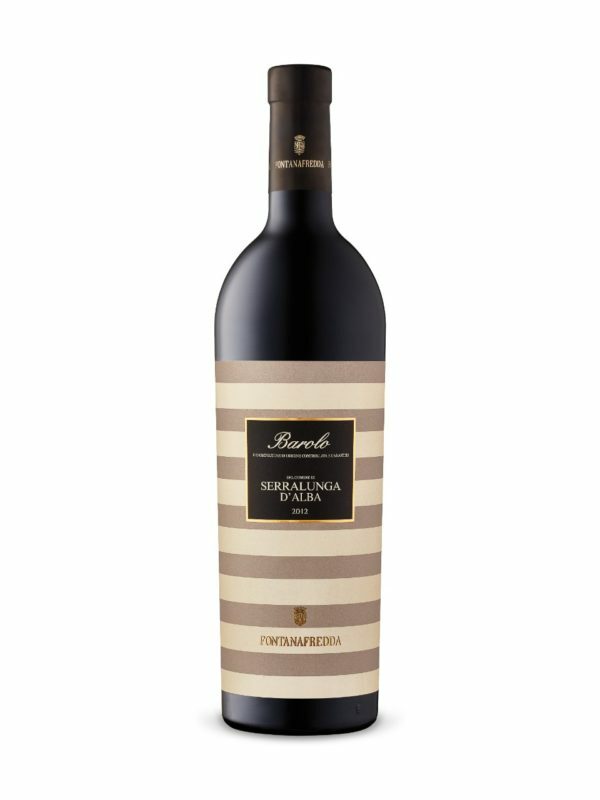 This Barolo wine is made from 100% Nebbiolo grapes, aged one year in oak casks, and then at least one year in the bottle. The soil composition is limestone, grey marl, and sand, with Fontanafredda’s growing location hillside, facing south/southwest. The color is a blood red ruby, that will soften to an orange tinged rim as it ages. Nose is of vanilla and spice box, with dried rose hips, and worn leather. The palate is raspberry with black cherry and spice box, with a hint of menthol and clove, alongside soft tannins. Pair this Italian Barolo wine with a herbed red sauce and pasta dish, a juicy New York Strip steak, or grilled lobster tail. Drink now through 2021, 91 points. On the lower slopes of Simonsberg Mountain sits the Kanonkop Winery. Situated on southwest facing hills for the most favorable weather and warmthi, the soils here are red granite, igneous sedimentary rock, and clay, resulting in high water retention and nutrients for the vines. Varietals in this blend are Pinotage (54%), Cabernet Sauvignon (34%), and Merlot (12%). Grapes were hand harvested, with aging in French oak for a minimum of 12 months before bottling. Concentrated flavors of dark berries, leather, and chocolate are present, thanks to the driest vintage on record. Mocha, menthol, and spice box create an earthy mouthfeel and add to the full body of this South African wine. Perfect for partnering with grilled meats, sausages, or mushroom dishes, Kanonkop’s Kadette is priced right for a crowd that loves grilling, tailgating, and a great glass of wine. Drink now through 2020, 91 points. We’re big fans of wines from Israel, as, Kosher or not, the production quality that has made it into the United States is top notch. Karmei Yosef has produced yet again another superb wine with their 2013 Bravdo. A 100% Merlot wine, aged 12 months in American and French oak barrels, it’s medium bodied with a deep ruby ink color, and dark purple rim. Firm tannins are present, as well as hints of red berries, vanilla, spiced cherries, and quite a bit of earth. The mouthfeel is generous, with a long finish. 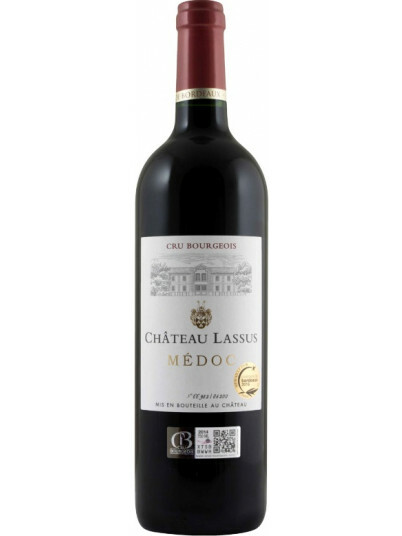 If you love old world style wines, this is a very different alternative to a Bordeaux. 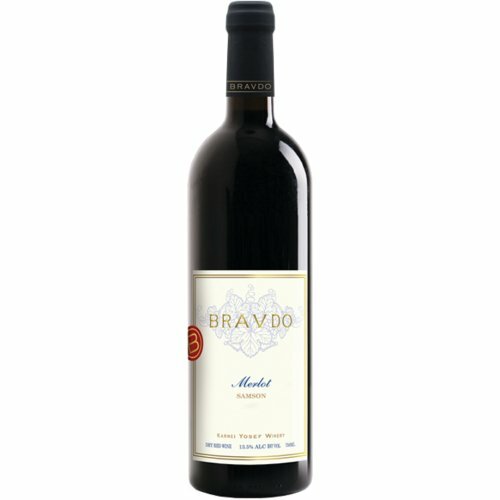 Pair Bravdo Merlot with lamb or beef roast. 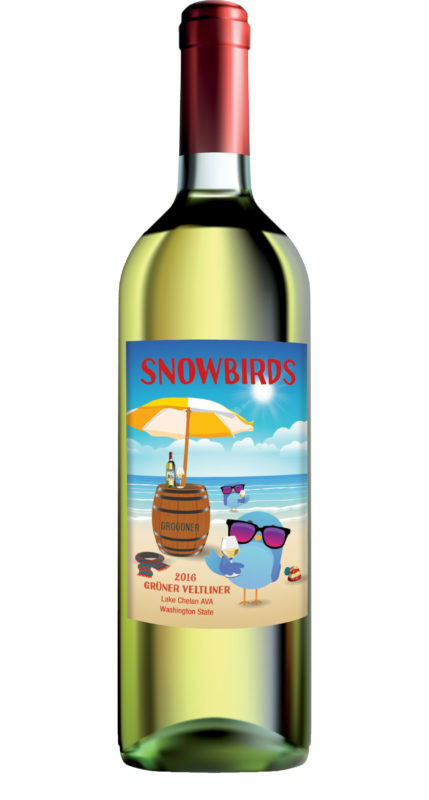 Sometimes you just need a good bottle of wine to bring to the beach, as a quick hostess gift, or to pop open on a rainy day. Les Dauphin does not disappoint with their Grenache blend, chalk and clay grown wine from the southern Rhône valley. Grown on a hillside, the wine is a blend of primarily Grenache (60%), Syrah (30%), Mourvèdre (5%), and Carignan (5%), with most vines at least 40 years in age. The vines are grown in a trellis system, using organic pesticides and fertilizers only. Dark violet in color with a purple rim, Les Dauphins Cote Du Rhone is light to medium in body, with a fully ripe, aromatic nose of violet flower and currants. 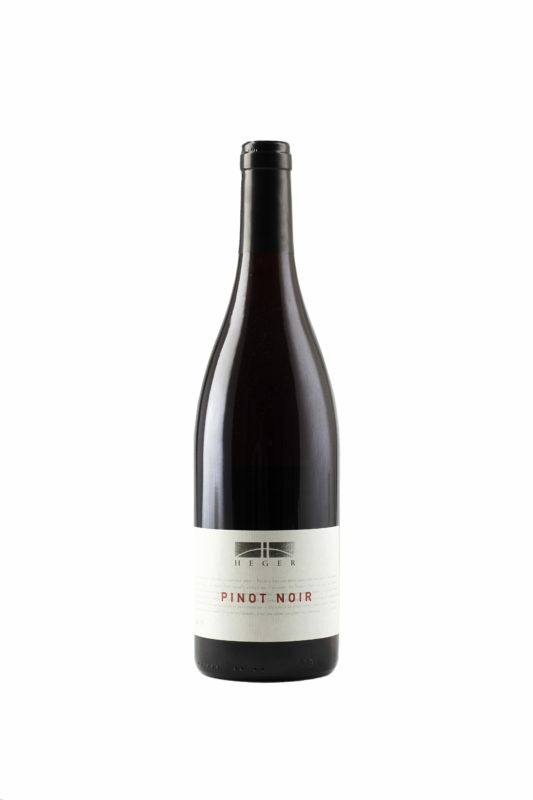 The palate is cherry tart, currants, and spice box, with soft tannins, and a medium finish. Pair this wine with your favorite book, or a simple plate of fruit and cheese. Drink now through 2018, 89 points. Harvested by hand and fermented in stainless, this lesser known white wine varietal is left on the lees for 6 months, adding depth of flavor and complexity. Notes of lime zest, citrus flower, and stone fruits are present, as is a lovely, silky minerality and a long finish. 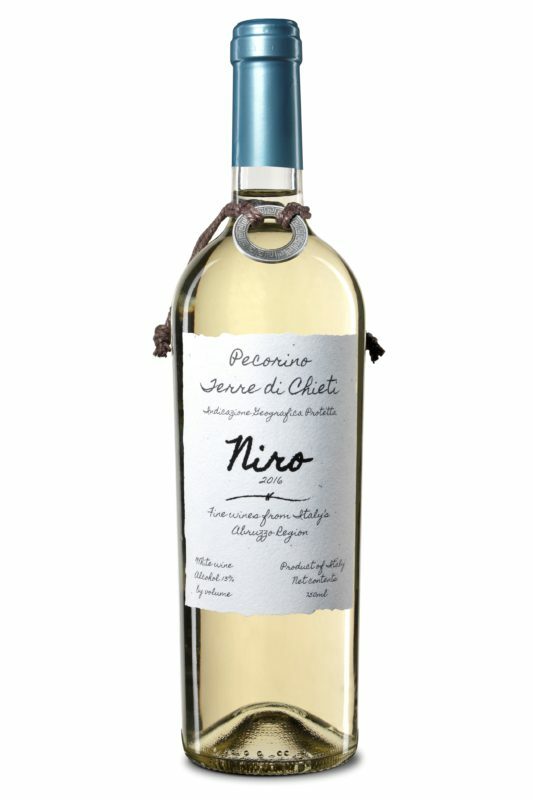 It is produced from 100% Vermentino grapes, in Tuscany. 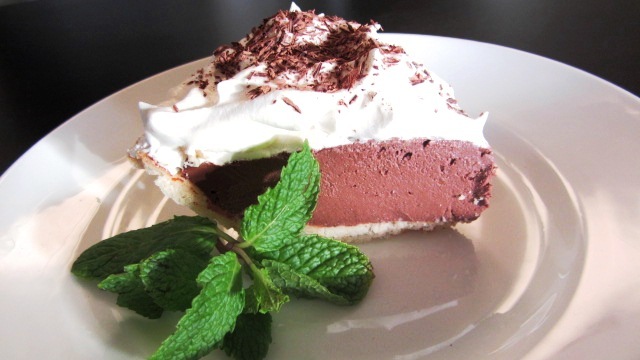 Pair it with cod in lemon butter sauce, shrimp scampi, or oysters. Another vegan friendly wine for your dinner and gift lists is Le Roi Des Pierres Sancerre. 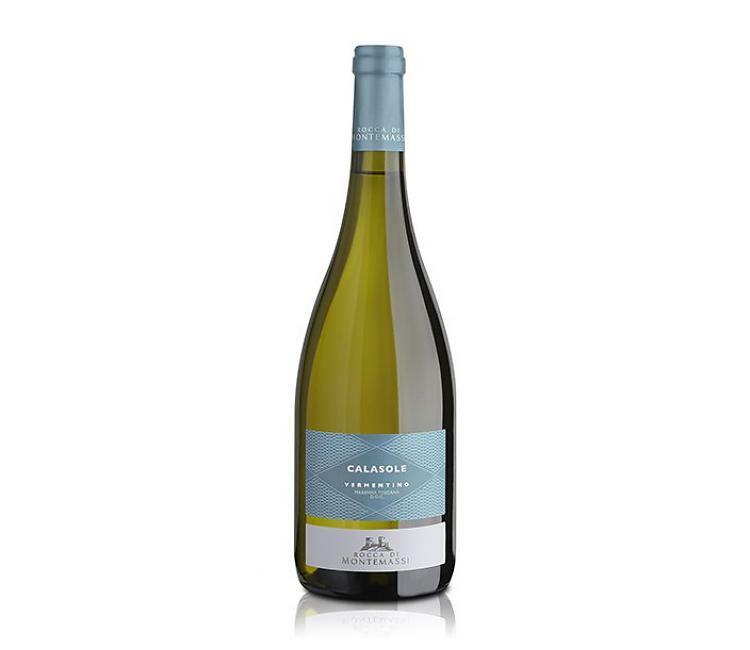 Made from 100% Sauvignon Blanc grapes, the three soil types in Sancerre – terres blanches (clay, limestone, and shellfish fossils), caillottes (a limestone pebble terroir), and silex (similar to shale or slate), heavily affect the flavor and body of the wines grown in this region. As one can imagine, with diversity comes innovation, and in nature, this means some of the best wines you’ll ever taste. 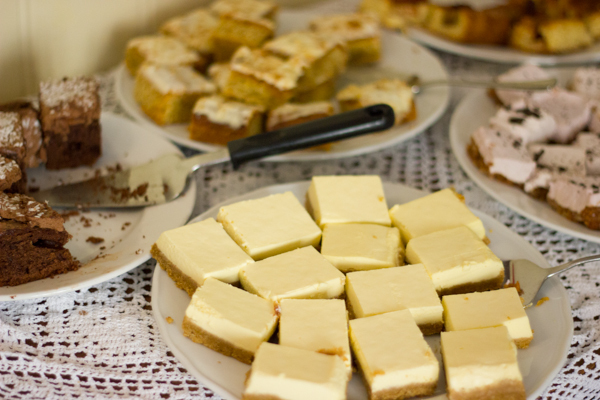 Notes of vegetal and citrus are present, as well as tropical fruit aromas. Grapefruit, passion fruit curd, and orange zest are on the palate, with a long, mineral flint-like finish, and a bit of salinity. Pair this French white wine with simple aged cheeses, tropical fruits, or a fresh shrimp or fish ceviche. As one of our favorite alternative white wine varietals, Chenin Blanc from South Africa rarely disappoints. This dry-farmed version from Mulderbosch is no different, as the varied bush vs. trellis farming styles contributes to a wide range of flavor and textural variances, in spite of being a just one varietal wine. The nose is fresh and grassy, with some white peach and minerality present. Green plum and light vanilla from malolactic fermentation are present on the palate, along with orange blossom and more stone fruits. Pair with your favorite lemon tart, a fresh fruit and nut salad, soft cheeses, or grilled romaine hearts tossed with lemon and olive oil. Drink now through 2019, 89 points. From the Terre di Chieti appellation in Abruzzo, the vines in this region date all the way back to ancient Rome. As a native Italian grape varietal, Pecorino means ‘sheep’, and was named for traditional sheep herding, because when the grape is ripe, the sheep will try to eat it. The wine is made using cryo-masceration (cold press) techniques, with skins on. Fermentation is in tanks, assumedly stainless. Notes of tropical fruits like green pineapple and citrus, herbs, grass, and a long mineral finish are present. Pair Pecorino wine with poultry, fish, or pork with lighter sauces. Makes a great aperitif. Drink now through 2021, 92 points. From the Lake Chelan AVA in Washington comes this little known varietal. More commonly found in Austria and Europe, the protective climate and volcanic terroir in the Lake Chelan valley create a unique flavor profile, and shift the wine from being extremely dry and mineral forward to more tropical in nature. Notes of lemon zest and grassy flavors are present, as is green pineapple, star fruit, and white citrus flower. 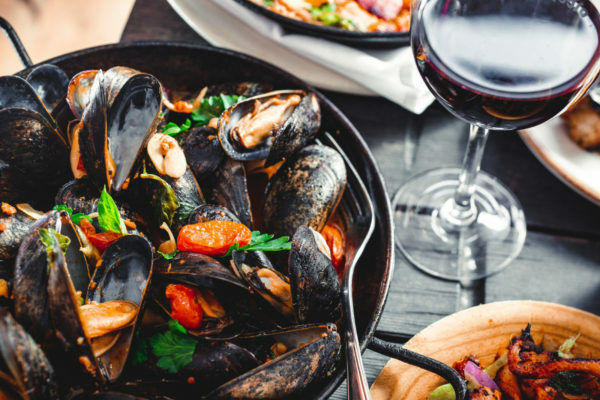 Pair it with seafood or vegetarian dishes, as this varietal is one of few that tastes great when paired with artichokes or asparagus.